Ping pong has seen a strong resurgence in popularity over recent years. As a primarily indoor game based on tennis, ping pong is enjoyed by millions of players and families across the globe. In fact, there are several weekly, monthly, and yearly tournaments that celebrate this traditional and growing game. With roots in England and China, table tennis is a competitive yet relaxing and fun activity. There are also many families that have both indoor and outdoor ping pong tables in their homes. If you are one of millions that love this sporting activity, having the right equipment and table is a must. Property owners should allocate enough room in their basements or rooms to manoeuvre large sized tables. It is important to purchase nets that correlate with the size, width, and dimension of the table (most tables come with nets that can be upgraded or replaced if desired). Tables that are rocky or shaky should not be purchased (it is important to try these tables out at local sporting stores before purchasing them). Lifting pads can be placed under tables legs, which raises the units and offers additional support. Tables can range in price from a few hundred to thousands of dollars. It is imperative to purchase or upgrade to a table that meets your budget. It is also vital to purchase the right ping pong balls, paddles (racquets), and other accessories to maximize playing experience. Tables must be able to fold in and put away when not in use (try not to purchase stationary tables unless you are planning to keep them in one spot on a permanent basis). Table tennis table brands and accessories are available at most sports stores. If pressed for time, it is advised to compare prices and brands on the Internet. This is a good way to access customer testimonials and industry reviews as well – which helps make a worthwhile and informed purchasing decision. There are several benefits of playing table tennis on a daily or weekly basis. For one, the game is designed to help individuals improve hand-eye coordination. The game also helps improve focus, while sharpening skills and even enhancing cardiovascular performance. This is due to the constant motion of the game, along with using the body for force when striking the ball. Many players have reported dramatic weight loss and an increase in stamina and energy levels. Even computer gaming companies like Sony will have ping pong games that emulate real action – which is enjoyed by countless individuals and families across the world. 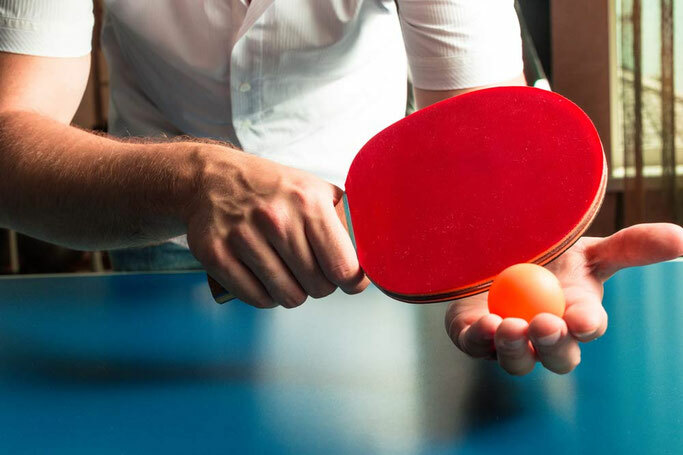 If you are ready to buy a new table or get back into the sport, companies like K-Sports feature all ping pong equipment and accessories. This includes the latest tables, along with paddles, balls and so much more.